Conveniently store and systematize your daily essentials in Luxor’s Mobile Bin System. 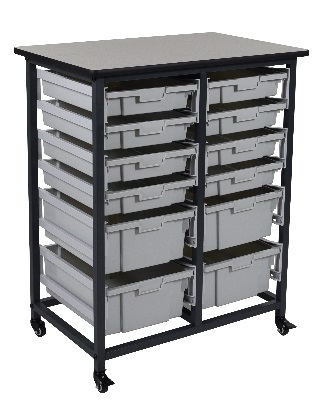 The spacious gray bins include an area for standard labels that dually operates as a handle for easy accessibility to stored items. Choose from Luxor’s double row options with 8, 12, or 16 bins to create an effective storage solution that’s perfect for any environment.